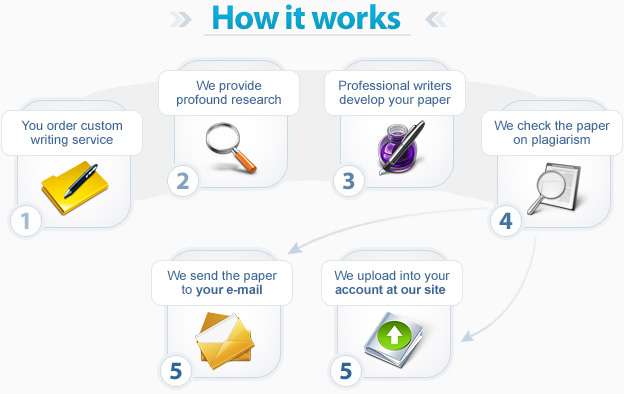 Academic essay writing has become an integral part of any curriculum. It allows professors to assess students' knowledge of various subjects. Academic writing includes a lot of writing assignments that students have to complete. Very often students feel that they cannot write their academic papers in proper time due to various reasons. Therefore, it becomes obvious that they need academic writing assistance. Quality-writing-service.com is a reputable online essay writing company that provides a wide range of writing services, including essay writing help. So, if you have difficulty writing essays or completing any other writing assignments, please feel free to contact us! Our writing process is very simple and effective. At Quality-writing-service.com, we produce custom papers of superior quality within the shortest period of time and deliver them on time. Buying papers online has never been so easy. All you have to do is follow a few steps and our professionals will do the rest! Step 1: Specify order requirements in detail. It is very important as the price for your paper depends on its type, academic level, and urgency. It should be noted that your paper will be cheaper if you allow more time for its completion. Step 2: Provide us with contact information. You are responsible for giving a valid email address and phone number. The former is a must as we send messages, order notifications, and the completed paper via email, while the latter is not obligatory but can be useful in case we need to contact you promptly. Step 3: Give us full order instructions. For this purpose, please select the Field of Study, Style, and the Number of Sources. Besides, you are required to add comprehensive instructions. Step 4: Make payment for your paper. You are required to make payment using our secure payment system. You can choose a Credit/Debit Card or a PayPal option. If the payment transfer is successful, you will get a link to a Confirmation page and log in to your personal account at Quality-writing-service.com. In addition, you will receive a Confirmation email with further guidelines on how to contact your writer or customer support managers, upload additional files, and download completed papers.